People begin their businesses with concepts and set up teams that work hard to accomplish their objectives. However, increasing competition, uncontrollable economic circumstances and cash flow problems can make it difficult to pay your debts.Even the most efficiently run businesses are susceptible to financial challenges. Debt settlement can help your business lower its payables and save money through negotiations with your creditors. Embark on giving your company the rejuvenating start it needs with an evaluation of your current debt situation. 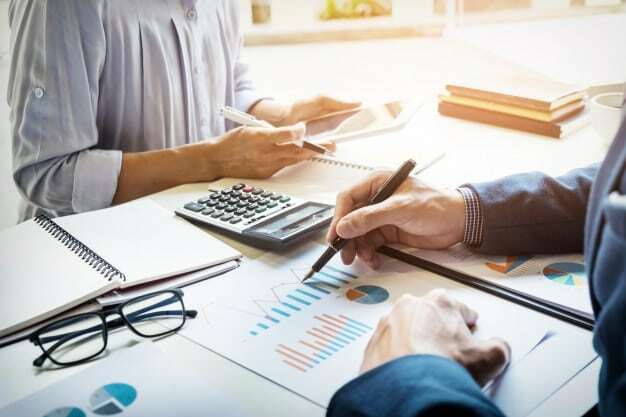 Business debt can be a complex and intricate topic, which it is necessary for business owners to be aware of their choices and debt management opportunities. Many business owners are tempted to delay payments when they are dealing with unforeseen expenses or slow sales. This is a habit that can develop rapidly into a major problem for the company. Lack of proper financial management can lead to the failure of a business and compel companies to shut down. If you do not deal with your debt problems your risk downgrading your credit rating as the payment history of your business is tracked. Other companies will have access to this information and are unlikely to offer credit terms to businesses that do not have a favorable credit history. When you are considering business expansion or investing in new and modern equipment, a questionable payment history will make it much harder for you to obtain a loan from lenders such as banks. The financial consequences of neglecting your debt payments can be dire. Click here for business debt settlement. As debts pile up, the ability of the business owner and employees to focus and be productive will be compromised. From dodging creditors’ calls to struggling with different payments, this type of working environment is bound to disrupt staff productivity and motivation. If your company is dealing with late payments, you can prevent the situation from becoming worse by consulting debt settlement specialists who will help you manage your business debt issues successfully. They will understand your needs and provide an assessment of your company’s debt situation that is geared towards protecting the future of your business. Regardless of how challenging your business debt may be, debt negotiation and settlement can help to resolve the debts that you owe. You will also be able to improve the cash flow of your business and enhance capital reserves. Debt settlement is one of the ways to get your business back on track. Settlement allows you to get rid of the debt challenges that businesses face on a daily basis. Corporate debt is affected by aspects such as late fees and interest charges. It may become more difficult to pay debt with your current situation and if you do not address the issue promptly or keep waiting, circumstances can become overwhelming and settlement will be more challenging. Avoid bankruptcy and restore your business finances by settling debt through effective negotiations. Your debt problem requires a worthwhile resolution such as settlement that will revive cash flow while eliminating the burden that is interfering with your business operations.